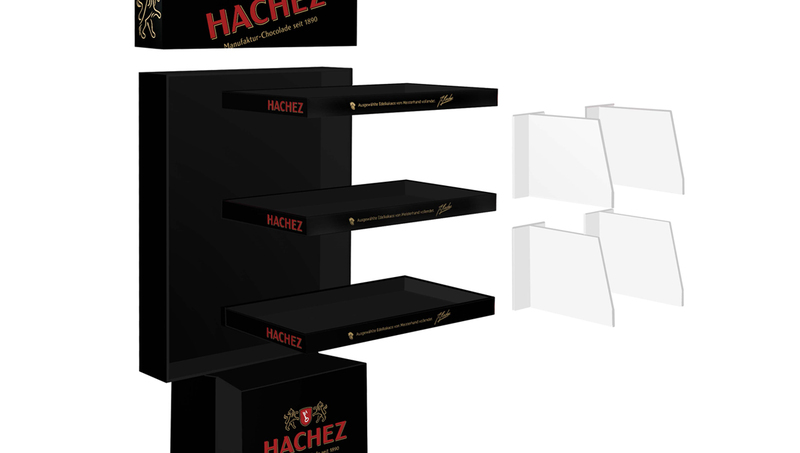 Development of a new, standardised display concept that communicates the quality and premium characteristics of the Hachez and Feodora brands. The difficulty of this project lay in replacing the existing concept with a high-quality, more variable and more reasonably priced concept and presenting the extensive and sometimes fragile product portfolio in this concept so that it easily catches the eye. Redevelopment of the concept, visualisation of various scribbles as “look and feel”, visualisation through 3D images, sample preparation, product placement and shipping tests. 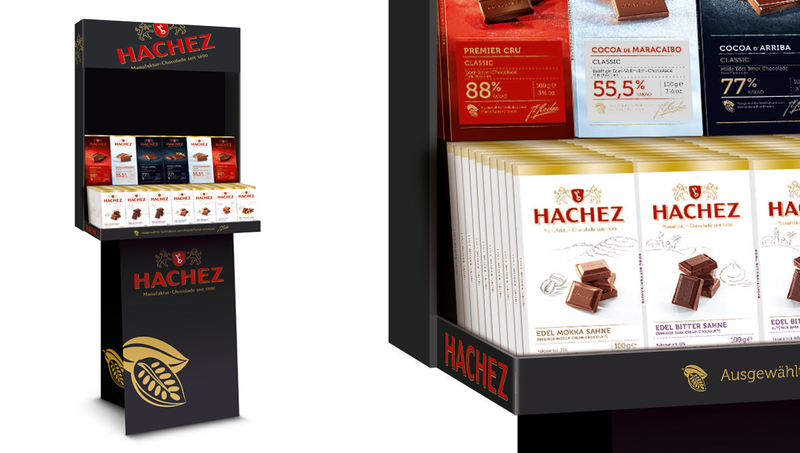 Various display formats were developed: a ¼ pallet display with various base heights, a large floor display with a ¼ pallet locking option and a small, slim floor display. 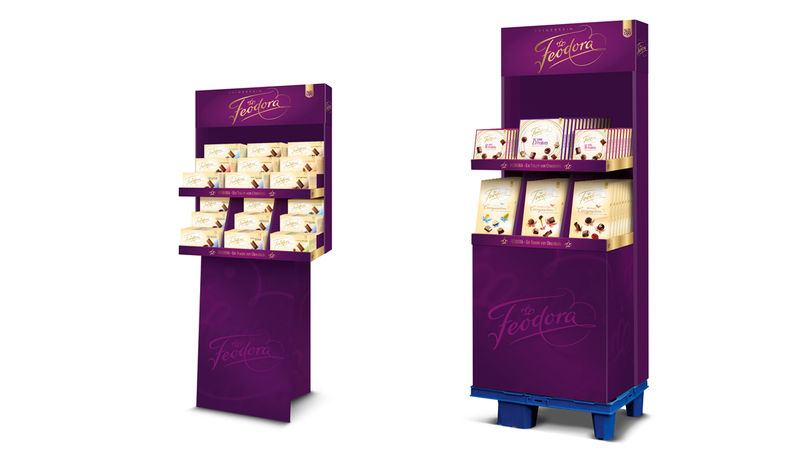 The advantage of the redeveloped concept lies in a few standardised parts that can be used in all displays depending on product placement. This perfectly picked up on the customer’s wish for a display concept as a building-block system. Different types of corrugated cardboard, paper and printing techniques were used to achieve an optimum result that corresponds to the customer’s wishes, and at the right price. 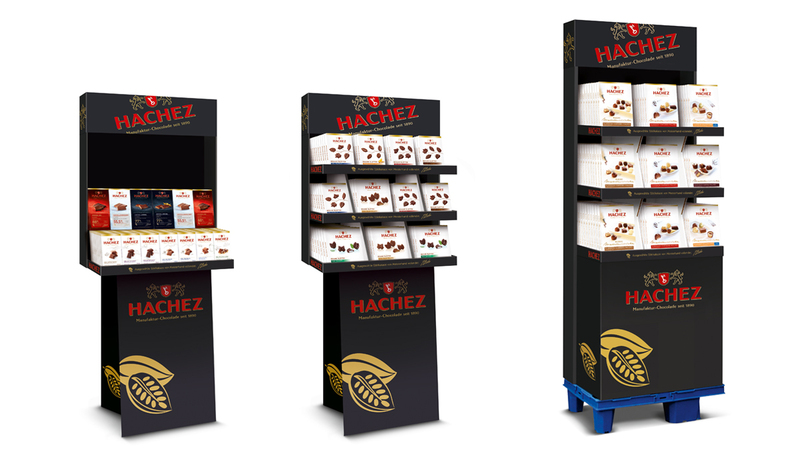 Following the relaunch of the Hachez and Feodora brands, slight changes to the premium standard display concept were made that resulted in further optimisation and cost benefits. 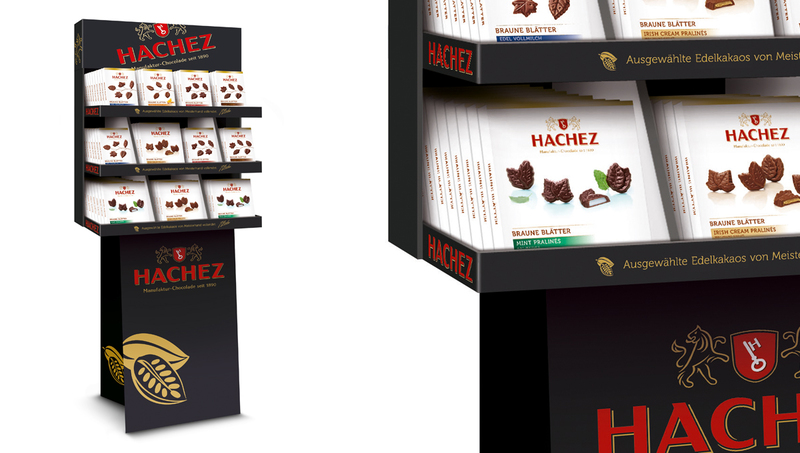 This enabled us to further strengthen our cooperative partnership with Hachez Chocolade. Would you like to make an enquiry or do you have any questions? Then please contact us. We will be happy to help.